We took it easy most of the weekend. we really needed a break. from Tuesdays at Our Home #52. Stacey from Poofing the Pillows put together a beautiful Spring mantle. 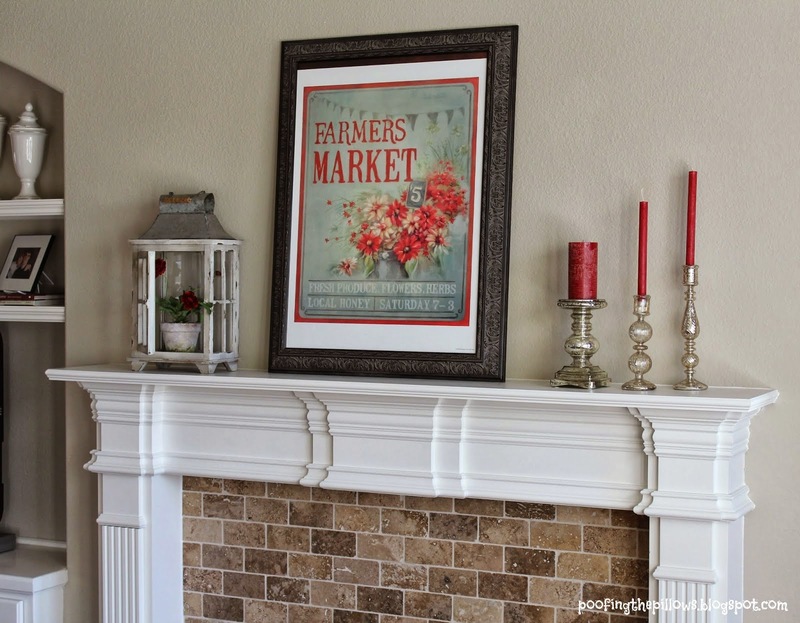 Love her Farmers Market print. Gorgeous! 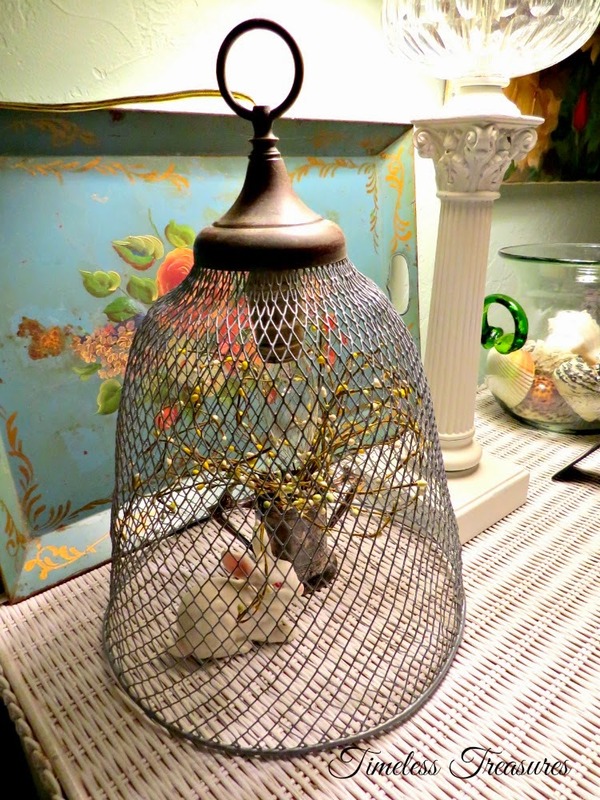 Audrey from Timeless Treasures made a gorgeous cloche light using a wire basket. Shabby Gals made some beautiful leggings for her little girl using an old crocheted cardigan. It just doesn't get any cuter than this! 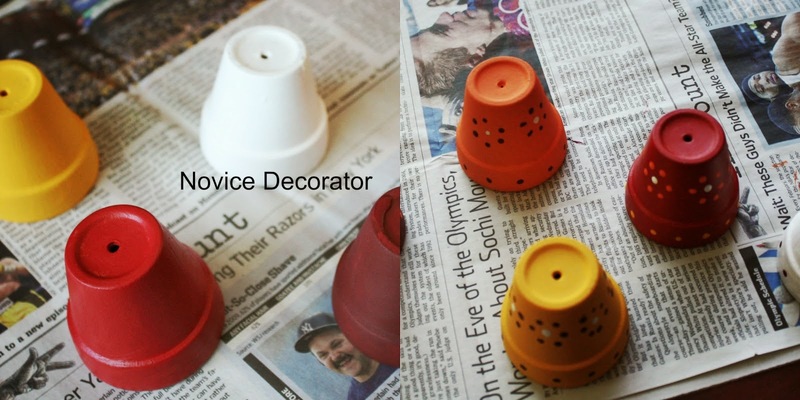 using some small clay pots and a little paint. Poppy from With a Dash of Color created a beautiful St. Patrick's Day vignette. 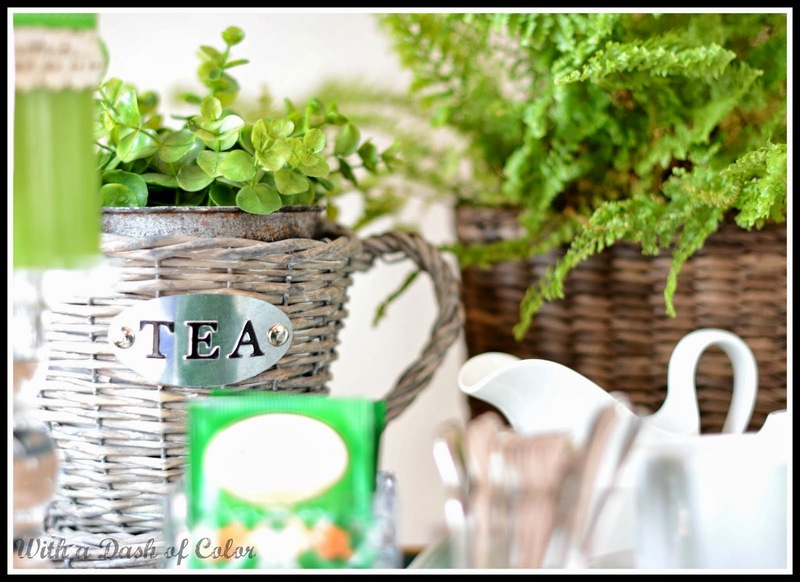 Love her "tea" basket and all the pops of green. Beautiful! Dana from The Starfish Studio made a fabulous sign for her bathroom beautiful chair. Love how she used the ribbon. Very pretty! 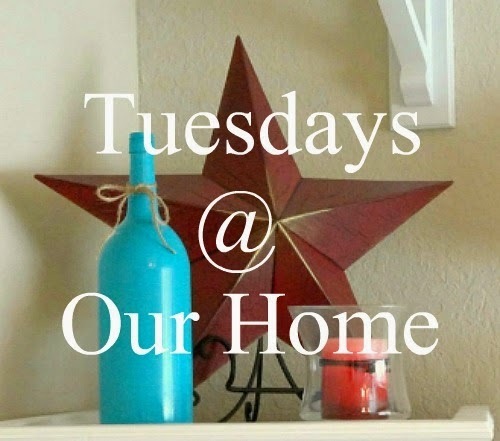 Welcome to Tuesdays at Our Home #53! Sweet features! Thanks so much for hosting, Maria Elena! Haven't joined in a while Maria Elena, glad to join again! Thanks for hosting, that crochet leggings is super cute! Maria Elena, your weekend sounds wonderful. It really feels good to rest and relax. It's rare for me to take a nap...but I did on Sunday and boy was it wonderful. Hope your week is filled with extraordinary creativity! So many great features, Maria Elena! Hey Maria Elena! Thanks so much for hosting! I can't wait to see what everyone has been creating this week! Thanks for hosting! Wonderful features last week. Oh wow thank you for the feature!! I have nothing to post today. Boo! Thanks so much for hosting, Maria Elena! Have a lovely week! Thank you so much for hosting, Maria Elena! Thanks for all the hard work at hosting such a great party. So honored that you featured my Wire Trash Basket Lighted Cloche. Thank you. Love all your features ... the crochet leggins are so cute. Hope to join your party again this week. Dear Ma. Elena...thank youso much for hosting this wonderful party! Love the wire cloche. Have a lovely week.